Join us for the 8 year anniversary of The Mix the weekend of May 14th! Friday night Karaoke & Saturday night dance party! 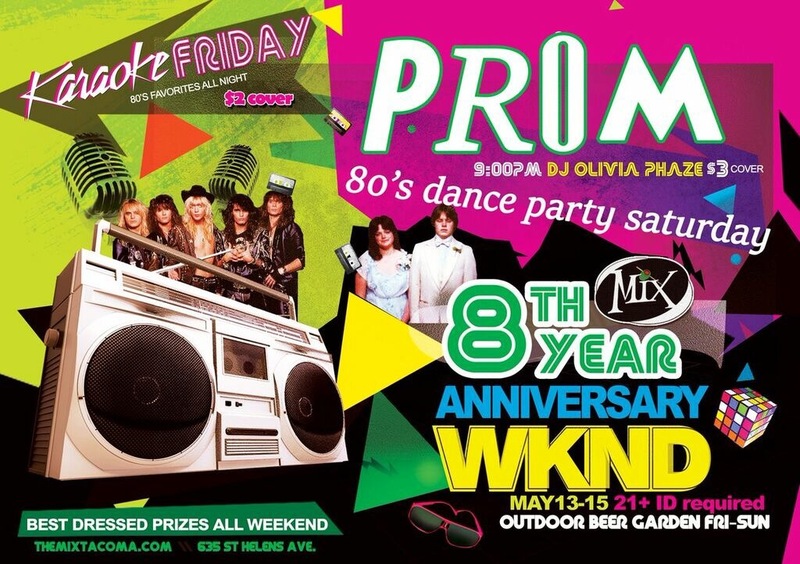 All 80’s all weekend! This entry was posted on May 6, 2016. It was filed under shows and was tagged with 80's, dance, gay, nightlife, prom.